Last April, after nearly a yearlong process and an arduous wait, Matthew Haugen, PhD candidate in Kinesiology, was notified that he had been awarded a Fulbright Fellowship, which would allow him the opportunity to complete his dissertation research project studying sport education in China. His fellowship experience ultimately encouraged him to pivot his dissertation research project to better represent and inform the future he sees for himself as a scholar. In the following post, he describes his path to the Fulbright and how his fellowship year has impacted his research. My first time in China was in 2008, on the precipice of the Beijing Olympic games, and the country was in a sports frenzy. That year, in addition to taking in the games, I also helped my friend set up a tennis academy in Zhongshan, Guangdong Province. Many of the players that came to us had been cut from the government’s provincial teams for a lack of satisfactory results such that at an age of 17/18 years old these talented individuals found themselves without a team or place to practice. Since most aspiring athletes in China enter government sponsored training programs that deemphasize traditional education; there is little opportunity for many athletes to reenter the work force or enroll in local universities (with the exception of sport-related jobs and sport universities). This was when I realized a stark difference between the American and Chinese sport system. There are no student-athletes in Chinese society. 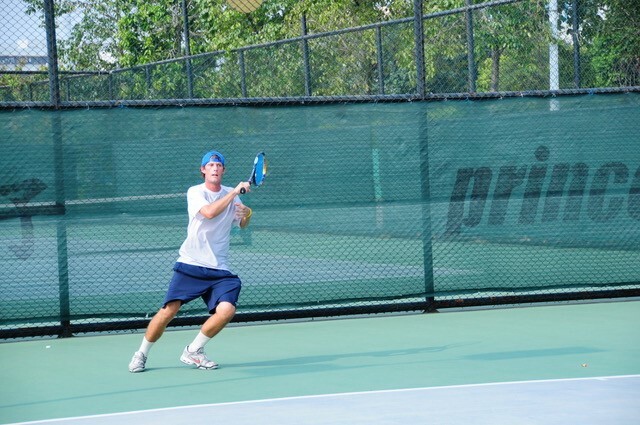 The question as to why there is a division between sport and education in China has followed me ever since; into my master’s program, my time spent coaching China’s Hebei Provincial tennis team from 2011-13, and now into my doctoral program at Illinois. For the past seven months I have been back in China working on my dissertation project studying how market reforms are generating new initiatives in both sports and education. I am examining the causes and consequences of these developments, focusing specifically on the emerging notion of the student-athlete and whether sports and traditional education can co-exist in Chinese society. In order to complete this research, I am conducting in depth interviews with key stakeholders in the Chinese sport industry, including government sport officials, coaches, parents, and retired and current athletes. The purpose of my research is to ask them about their experiences with sport and traditional forms of education in order to gauge how prepared athletes are to enter the workforce once their athletic careers are over; and what programs, initiatives, or reforms are being developed to aide athletes in this process. Based upon their responses and my fieldwork; I hope to generate cross-cultural exchange between the US and China of best practices in the academic schooling of athletes, and to identify practices that can assist Chinese athletes to study academic, technical, or professional subjects at the same time as they are engaged sports training. When I arrived this September it had been four years since I had last been in China, and while the country is a place of perpetual change, this time it felt strangely normal to be back. Familiar foods, smells, friends, and colleagues were there to make my transition feel seamless. I was lucky to receive an additional grant to study Chinese for the fall semester at Harbin Institute of Technology, home of the famous Ice Festival. During that time I had a chance to study advanced vocabulary, and policy documents that would allow me to conduct the interviews that are vital to my research. In Harbin we were paired with Chinese students to be our roommates and held to a strict language pledge where we would only speak Chinese during the semester-long study. Through it was difficult for myself and other Fulbright Fellows to maintain Chinese 100% of the time, it allowed us to form relationships with our roommates and build confidence in a second language. Once the semester and the language program was finished, I moved from Harbin to the Nanjing Sport Institute, where I am currently based. The Nanjing Sport Institute is the training base for the Jiangsu Province athletes, who are working toward becoming future Olympians in a variety of sports, from ping pong to cycling, basketball, tennis, fencing and more. In addition to hosting the provincial programs, the institute also acts as a Sport University, where students study different body/movement studies similar to what you would find in a Kinesiology department. 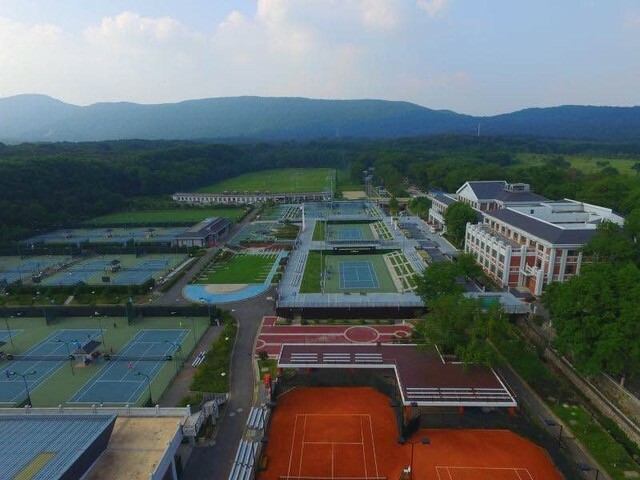 What makes the Nanjing Sport Institute unique is they also have an independent tennis academy that runs outside of government auspices and is instead directed by commercial and market influences. This environment allows me to be at the epicenter of the sport industry, and allows me to examine the many processes and the complexities that surround sport in China. Because of my background as a coach, the Jiangsu province team has also asked me to work with some of their professional players. While the question of sport and education has captured and captivated my attentions since 2008, my work is China has caused me to pivot my thinking on my dissertation research. Rather than a traditional one-subject dissertation, I plan to use a three article format to explore the idiosyncrasies within the Chinese sport system and write about three diverse but intertwined sport topics. This also will help align me with how I want to be seen as a future academic, as a scholar who can examine cultural and social issues in sport, issues in sport management, and physical education coaching/teaching pedagogies. My daily life is currently centered on coordinating and structuring practices for select tennis players on the Jiangsu team, interviewing key stakeholders in the Chinese sport industry on the above topics, and most importantly, observing and participating in as many opportunities as possible in Chinese sport. My ultimate goal is to build bridges and make inroads with those who are involved in Chinese sport, and to help dissolve cultural misconceptions between the east and west, which in turn will help build stronger bilateral relationships between China and the US.